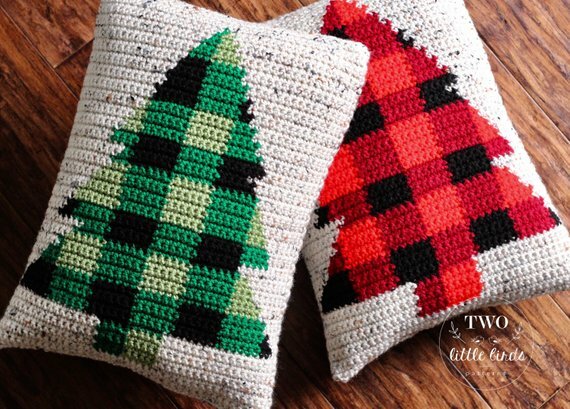 This crochet pillow pattern, featuring a buffalo plaid Christmas tree, is sure to add some rustic coziness to your home around holiday time. The pattern comes with graphs for 9 color combinations so you can crochet the pillow cover in colors to compliment any holiday decor. This pattern uses the intarsia crochet technique. If you are unsure how to do this, the pattern comes with a detailed photo tutorial.